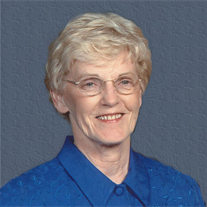 Monday January 2nd, 2017 Rachel Ann (Harris) Crisp, wife of Carl Crisp, passed away at the age of 86 (and 10 month). This happened unexpected and we were totally surprised by this sad news. We remember Rachel as a wonderful woman who truly was interested in people, their thought, problems, needs and dreams. We feel blessed being her guests in New Castle, Indiana in the Summer of 2016. Thank you Rachel for being our hist and friend. Rest in Peace. We will pray for you, Carl and your lovely family.